The trees this home is under provide shade, but also make the black streaks come back faster. This is because the trees stop the Sun from drying the roofs moisture up. Heat and Moisture =’s Mold, it’s real simple. 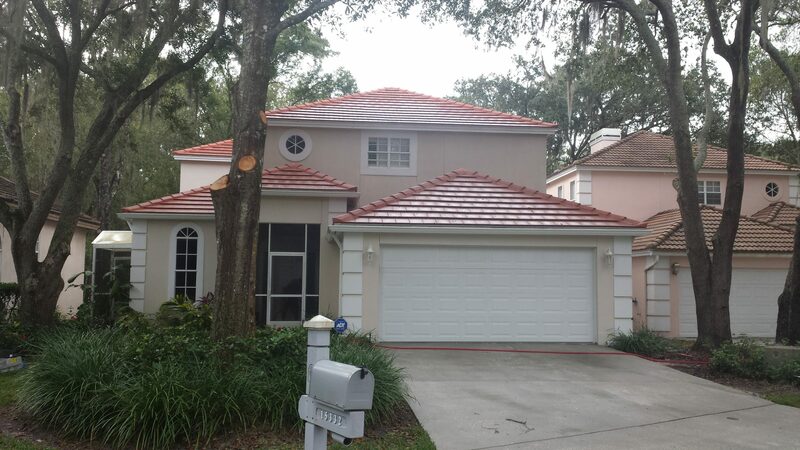 In the first picture, you can see some of the debris we had to blow off of this Tile Roof. 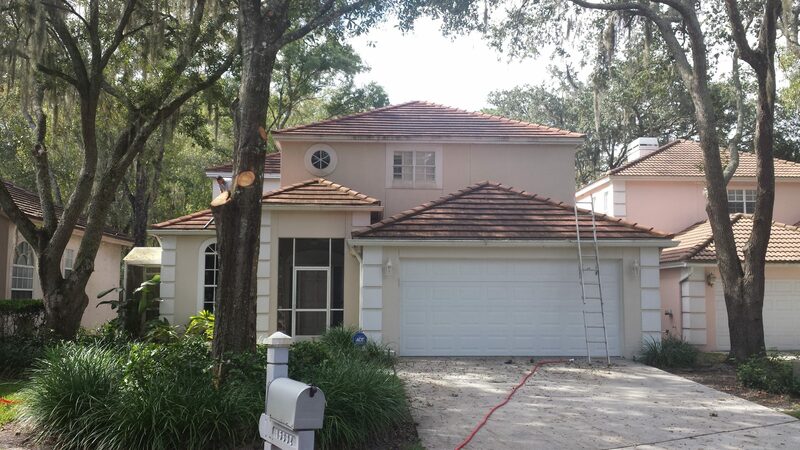 We are perfectionists when it comes to cleaning tile roofs, as you can see by the bottom picture. This roof will look even better, after it has had the benefit of a few rains. 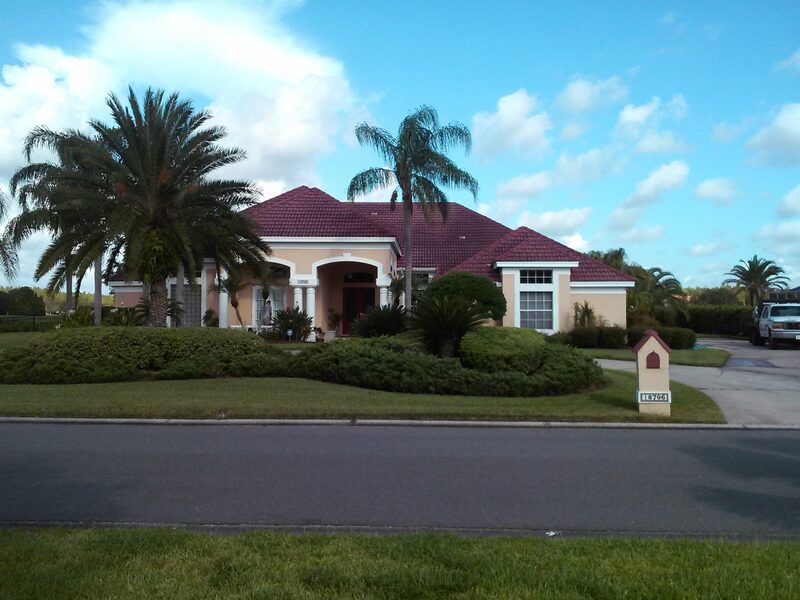 But you can still see all the edges of the tiles and the ridge caps are all nice and clean, for the holidays. Our customer was a very nice lady, who plans to have her large family over for Thanksgiving. She has used us to clean her flat tile roof before, over 5 years ago. 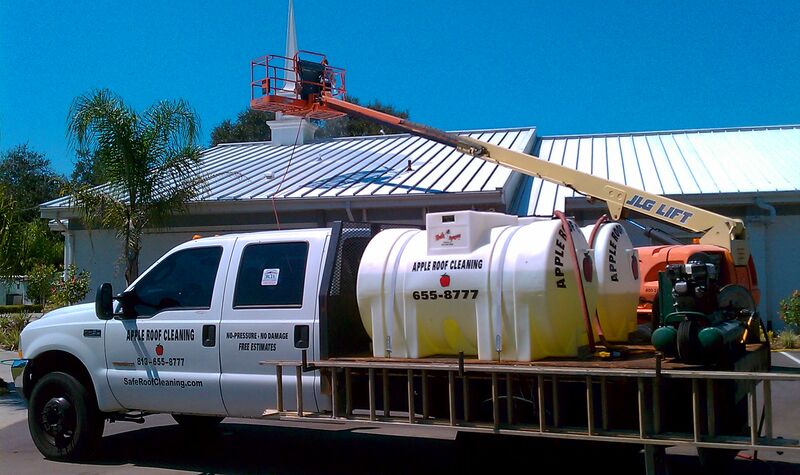 Tampa Palms was sending out “clean your roof or else” letters, and our trucks were cleaning other homes, on her street. That’s how she found us, and she remembered us, all these years! 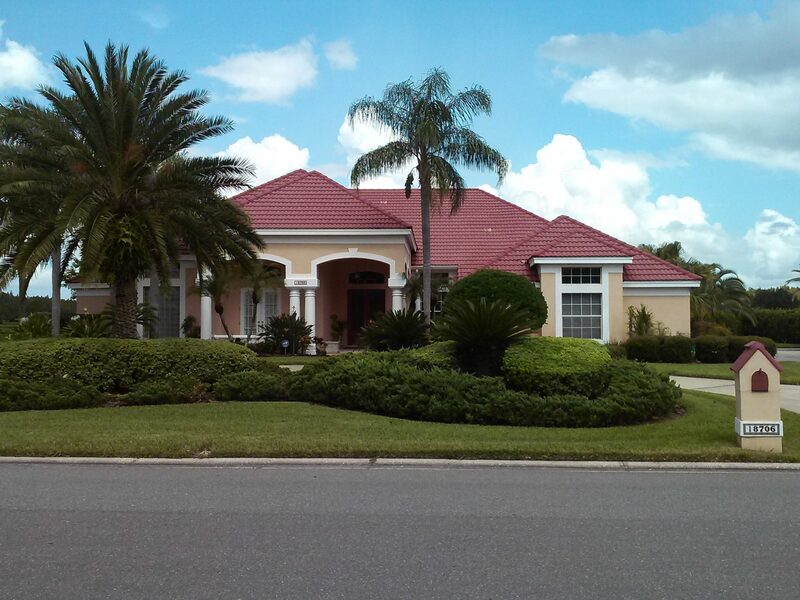 Though we are number one for almost any Tampa Roof Cleaning Search, most of our business comes from happy customers we cleaned years ago like this one, who remember us, and tell their friends.